WIN THIS MASK! 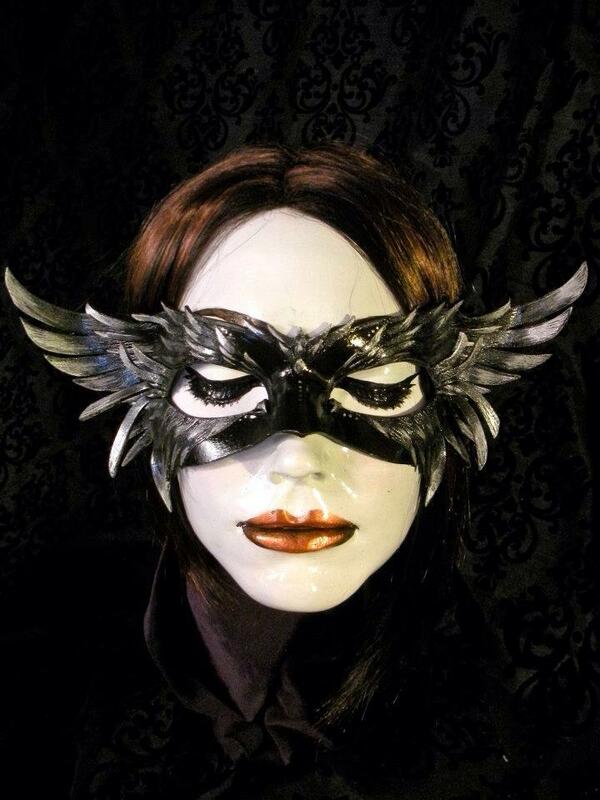 Score this gorgeous handmade mask from Artsmyths Studio, just in time for Halloween! WIN THIS MASK! Score this gorgeous handmade mask just in time for Halloween from nationally known mask maker extraordinaire Tiffany Smyth’s Artsmyths Studio! #1. FOLLOW this blog using the “FOLLOW” button above to the left, or the “Bloglovin'” button to the right. Plus, Earn a SECOND ENTRY by SHARING this blog post on your Facebook or Twitter! (Just tag me so I know you shared. Facebook: @theyearoflivingfabulously, Twitter: @livethefablife) Use the links at the bottom of the post. The contest runs from Monday, September 23, 2013 through Monday, October 14, 2013 at 12pm Noon Central Mountain Time. Winner will be selected by random drawing after 12pm on Monday, October 14, 2013, from all completed entries (both steps described above must be completed). Winner will be notified by email and/or Facebook message and their name will be announced on this blog by 5pm Monday, October 14, 2013. The winner will have until 12pm Wednesday October 16, 2013 to respond with their address for shipment of the prize. If the first person selected does not respond in time, another name will be randomly selected as the alternate winner. One winner, one prize. Winner may choose to receive a $70 Gift Card in lieu of the mask shown above, however winner will be responsible for any shipping costs of goods and price of any mask over and above $70. The retail value of this prize is $76 plus shipping cost (if mask above is chosen), or $70 if the gift certificate is chosen. Prize must be redeemed by December 31, 2013. (Please Note that if the gift certificate is chosen and used for a Custom Order, depending on the mask it may take up to 3 months and may not be ready by Halloween 2013) Employees and relatives of Artsmyths and the Year of Living Fabulously are not eligible to enter the contest. 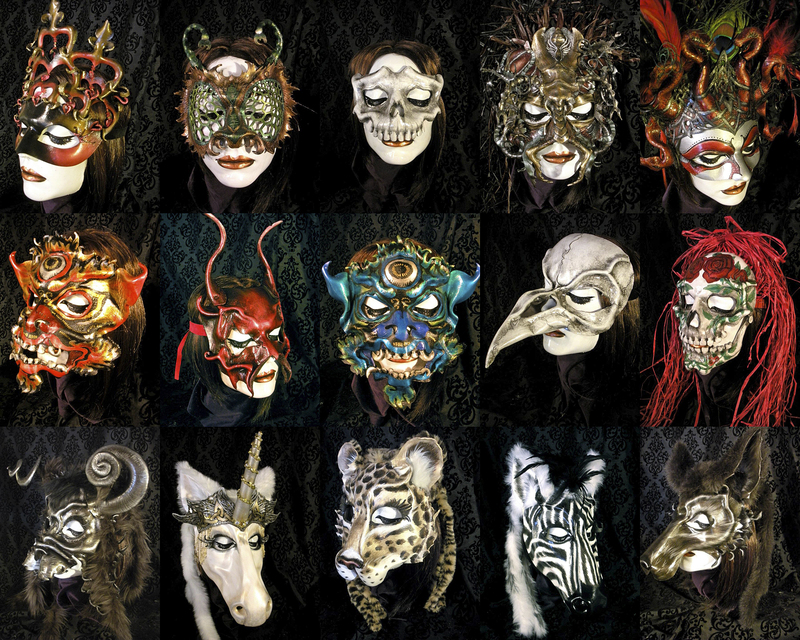 This entry was posted in art, Denver, fashion, Halloween, Masks, Uncategorized and tagged animal mask, art, artsmyth studio, artsmyths, bird mask, bug mask, custom headpiece, custom headress, custom mask, demon mask, Denver, Denver fashion, devil mask, dia de los muertos mask, Halloween mask, hand painted mask, handmade mask, Kabuki mask, leather hat, leather headpiece, leather mask, mask, monkey mask, ren fair mask, Renaisance mask, skeleton mask, skull mask, spider mask, steampunk mask, unicorn mask, win mask, win this mask, wolf mask. Bookmark the permalink.